Learn 3D modeling in Fusion 360 in under an hour! Whether you are new to CAD or already using parametric CAD software, this short video-only class includes everything you need. We'll introduce you to valuable tools for learning and teaching Autodesk Fusion 360 essentials, and give you great tips and tricks from industry professionals. Through a scaffolded learning experience, you'll develop your 3D modeling skills by applying them to a real world design challenge inspired by the Louis Kalff "Krähenfuss" table lamp. The class includes step-by-step video instruction, a printable PDF guide, and a quiz. Our courses teach you to use design thinking and software skills to make innovative designs that have an impact on people’s lives. This class is taught by Phil Dollan. Phil is a seasoned educator and a lead Technology and Curriculum Specialist at Autodesk. He has a Bachelor’s degree in Engineering Technology, a Master’s degree in Education, and has worked extensively in the engineering, forestry and mining industries. Before joining the Autodesk team, Phil worked as a member of the mechanical engineering department at the British Columbia Institute of Technology for 28 years. At Autodesk Phil develops education initiatives for AutoCAD, Inventor, Fusion 360 and many other software platforms. Fusion 360 is the first 3D CAD/CAM tool that connects the entire product development process in a single cloud-based platform for Mac and PC. In this lesson, you will download a free copy of Fusion 360 and the learning resources for this project. This lesson walks you through the the key areas of the Fusion 360 user interface. You explore the Fusion user interface and get hands-on practice using core features to create a box. Sketches are the starting point for most designs. 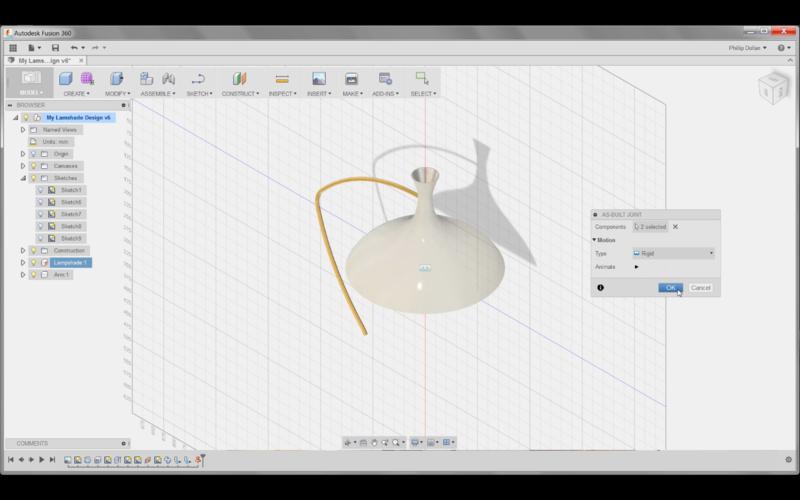 In this lesson, you learn how to start a new design and import a sketch profile of the lampshade into Fusion 360 to quickly start your design process. Working with the imported sketch from the previous lesson, you easily create a solid model of the lamp shade in Fusion 360, creating a solid model and modifying the material and color. Using the Sweep command, you create a solid model of the lamp arm, adding a thread to the end of the arm and modifying the material and appearance of the arm. 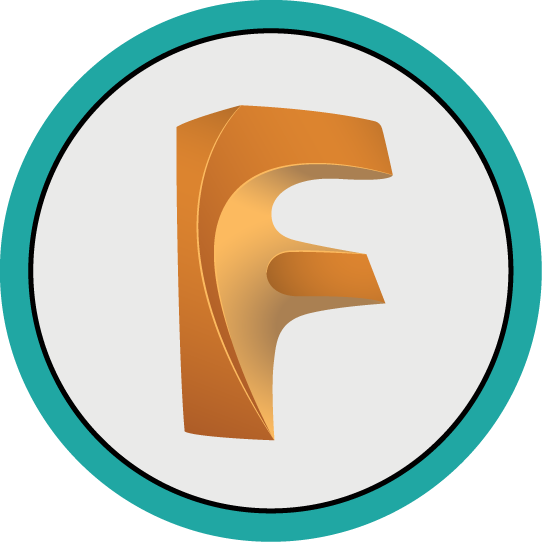 Fusion 360 supports freeform modeling using T-Splines. You apply push pull modeling techniques to form the sculpted model of the lamp base. Using a top down (multi-body) design approach, you create and assemble lamp components, focusing on assembly joints. Technical drawings are essential to visually communicating the functionality and construction of a design. In this lesson, you learn how to create a new drawing, create orthographic and isometric views of the lamp and add dimensions and text. Exporting your design for fabrication is simple. This lesson will walk you through the export options in Fusion and how to export the lamp stand in the STL format. Test your skills and showcase your knowledge by demonstrating your actual skills, expertise or just see where you stand. Need to refresh your knowledge? Revisit the project lessons to refresh your knowledge. Apply your new Fusion 360 software skills to your own design project or one of many Fusion 360 projects on Design Academy. Follow up this course with Fusion 360 product how-to videos and inspirational stories to influence your own designs.